1. CD-Rom Track (with the video for "My mind still speaks"
Industrial Doom Metal with Thrash elements from Sweden. 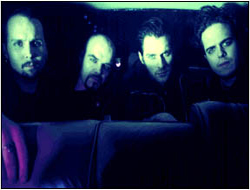 The band broke up after "Your Vision was Never Mine to Share" (2000). 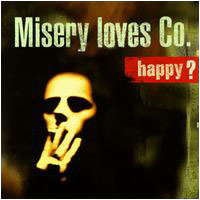 09 - Misery Loves Self titled opening album was widely seen as one of the best albums to come out of the 1990's European Metal Scene. Tracks such as "Need Another One" and "Kiss Your Boots" hit the club scenes and the band was part of the very successful Earache Records line up at the time. Their second album did away some what with the heavyness of the first, becoming much moodier and darker. But again "Not like them" became a big hit in the emerging metal market. 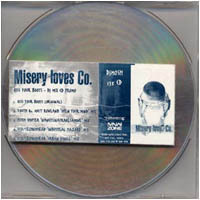 The last Misery Loves album, "Your Vision Was Never Mine to Share" was regarded by many fans as being uptodate. But again was another good album, if not to the same standard of the previous two. 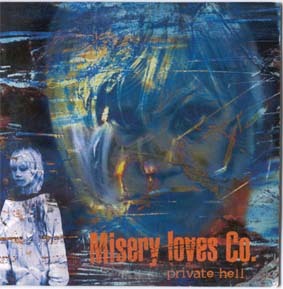 Perhaps Misery Loves turned up too soon, and they never managed to really gain the respect and recognition they deserved. If you have never heard of them go and find them, you will not be disappointed.